“I never lose: the crease, or learn”. In the words and life lessons of a true warrior – in the most noble and profound sense of the term – come Nelson “Madiba” Mandela are concealed many aspects and concepts related to sport, its dynamics and its effects on the invisible but essential machine called the human soul. If it's true, as it is evident, that “winning is always nice”, it is equally obvious – citing, more prosaically, a famous refrain 60's – that “you have to know how to lose”, taking advantage of the ashes of a bad day to restore the most of the humus necessary to instill new and more fruitful achievements. Everything always keeping in mind the well-known variable – crazed and irrational, yet with logic and predictability – of derby effect. From a derby extended version other, to Tose share from living rossoblù walls of the Stadium Paolo Barison hosting Padua, with all its load of sweet and sour amarcord and perky former protagonists, in another sentitissimo commitment this time valid for the thirteenth Round – the second of Pool Return – B of Series C Group. Broken the spell of 28 unbeaten, mister Fabio Toffolo You do not lose certain mood – and it could not be otherwise – continuously reinventing their griffatissimo 4-2-3-1 honed by a couple of technical and tactical nature expedients. 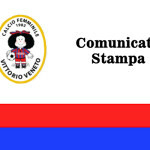 To defend the posts is of course the historical, corazzatissima number 1 Red Blue Giulia Reginato, assisted the cross from CEO Michela Martinelli and a Jade Tomasi more and more embedded in the heart of the rearguard vittoriese, with Monica Furlan and Karin Mantoani naturally more alive and active than ever on out downs of mutual responsibility; in midfield, as always, everything passes from preemptive genius and constructive Laura Tommasella – now quite comfortable with the captain's armband – and Valentina Foltran; forward here is the return from holding Giovanna Coghetto in clothes and tasks to be offensive end, with Adriana De Martin set back a few meters in version bostik between departments and the pair of big wings Natasha Piai-Margherita Zanon ready to take off towards the opposing area or to land in their own half of the challenge depending on the skein. 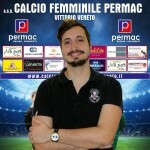 The Padua mister Giancarlo Freight, so far defeated three-goal in the two previous seasonal crossings at home and in obvious difficulty of ranking, It comes in earth vittoriese despite some defections – including former Rossoblu defender Valentina Dal Pozzolo – with a 4-3-3 version “keep calm and fight” whose tip – diamond and realization – It is the other big former Red&Blue Greta Ponte, already at an altitude 8 networks in season. At the behest of Mr. Di Renzo of Bolzano, contention was born on a stage vittoriese loose from the copious rainfall in the previous days, yet still highly suitable for the bite of a duel charge of courses and historical football appeals. The first ring to the voice “shots on target” comes to 10′ thanks to good personal initiative of De Martin, whose velvety assist it is well tamed by Tommasella captain in two stages to the edge and transformed by the same number 22 rossoblù in an interesting left, defused diving save from goalkeeper patavino Orlando on your right. The mood very aggressive the landlord, Calls to shake immediately after the debacle the previous week, It unfolds again a few minutes later with a nice combination of un'ispiratissima ADM16 and Zanon, launched on the offside: the timely introduction of MZ11 in the heart of the rearguard of his former team, but the conclusion is skilled goalkeeper patavino to cover the entire body surface with its pillar of competence. Even more striking is the occasion for the scoreboard, Mantoani Permac advantage on the stroke of quarter of an hour, with host defense by Orlando rejected error property in a corner from the left of Piai and number 28 rossoblù totally inaccurate to seal an easy tap-in from small-area line. Despite the mistakes, the goal of Tose is in the air and is materialized even without too much waiting per minute 18, thanks to an unexceptionable penalty commanded by the race director for surgery late Michielon of Giovanna Coghetto in the heart of the red zone patavina. From the spot, Laura Tommasella displaces right Orlando dish signing their own fifth center season in the league: so to speak, already five goals more than the tally of markings racked up last season. L’1-0 rossoblù reflect what we saw in the field and places the girls coach Toffolo in a position of advantage from the psychological point of view, Padua in front of an almost harmless from parts of Reginato and author of only one conclusion – moreover sballata – Spanish throughout the first portion of the game. The last chance before the double whistle mid contention is still the Permac, with Piai able to surprise the inattentive again host defense, joke of punishment in speed from Tommasella, but inaccurate in sending in a left-handed blow that door, instead, grasps the outside of the door Orlando. The beginning of recovery brings with it the first news the ranks of the stars – Nicoletto Carli takes over from the ranks biancoscudate – without significant implications in the inertia forces in the field. The Tose riassaggiano the turf home with some vehemence, constructing in the first 10′ a couple of occasions greedy signed Born Piai, in particular, the second in a slip of low cross Mantoani on which the reflection is remarkable in Orlando a few steps from the confines of their garitta. The top scorer the house becomes Permac “officially” the most stressed by her companions thanks to the return into the path of the center by the minute 61, input in coincidence in field Vanessa Stefanello instead of a more than positive Giovanna Coghetto. The goal of sniffing bomber Mareno di Piave does not seem that the happiest Sundays, and to render direct and (Unfortunately) testimony effectiveness is the failed occasionissima per minute 65 face to face with Orlando, after a smooth Sarain: patavino the goalkeeper is providential to oppose the desperate, but the Tosa knit 9 shoots him far too extreme defender guest in jersey number 12. The minutes pass and Tose continue to collect libidinous chance for a mark that would seal, with a more than adequate level of safety, The final meeting prediction. MZ11 He fails twice, between 70′ and the 77′, the appointment with the goal shaking too much in the air and exploding not sufficiently dangerous conclusions for the visitors always careful Orlando. The Padua, from your hand, It does not really seem to have weapons to ruin, under the profile of the result, Sunday reviewable by pragmatism vittoriese. But another great rule – not written yet deadly – the best sport in the world and fool says “everything can change in an instant”. Combined with another, even more famous, chorus: “wrong goal, goal conceded”. Two minutes from 90′, like a flash to announce an unexpected storm, The guests are the incredible biancoscudate point of equal thanks to a fierce paw of Greta Ponte, after a pitched conclusion tempted by the great distance from the Spanish subsidiary and not in the best possible way by an unfortunate Ciuki Reginato. L’1-1 It is an unwanted cryotherapy to the morale of Tose and, despite the inputs in the final Francesca Da Ros and Ilaria Mella, It becomes easier and mocking of credits at the end of the fourth and final minute of injury. it Permac, for the first time this season, miss the appointment with the victory two games in a row, but the rule of keep calm It is always valid and almost a dogma for this sport. The postponement of the match Riozzese the difficult field dell'Unterland Damen keeps on top of Tose 1 point, albeit with 180′ more in the field than the more direct rivals. 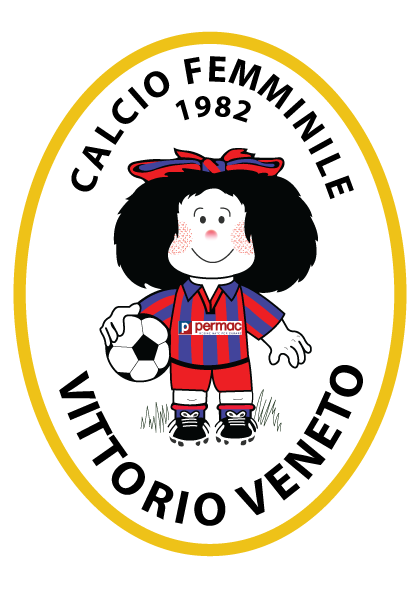 At the gates there is a long, long trip to Oristano, in Sardinia, to try to regain form, moral and especially the 3 points, in an even path full of kilometers and twists. Stay hungry, Stay Foolish, Stay Red&Blue.